Growing up with surgeon parents who had little control over their everyday, Sarah was told that there were two things she could never be: a doctor or a lawyer. With this in mind, Sarah embarked on her own journey of self-discovery and self-exploration that led her to find her niche and chase after her passion. 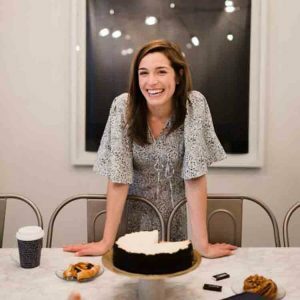 Sarah Pierson is a New York-based shoe designer, Forbes 30 Under 30 Arts & Style recipient of 2016, and Harvard graduate. She co-founded the highly innovative, women’s shoe brand Margaux.